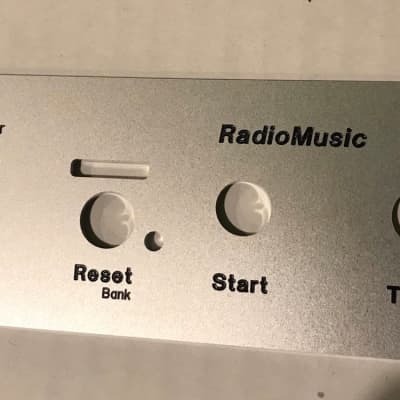 This is not a radio. It is a sample player that behaves like a radio. A digital way to simulate radio-powered compositions by John Cage, Karlheinz Stockhausen and Don Buchla's voltage-controlled radio experiments. It uses a teensy3.1 to play files from a SD card to simulate a voltage controlled AM/FM/Shortwave/Time Travel radio. 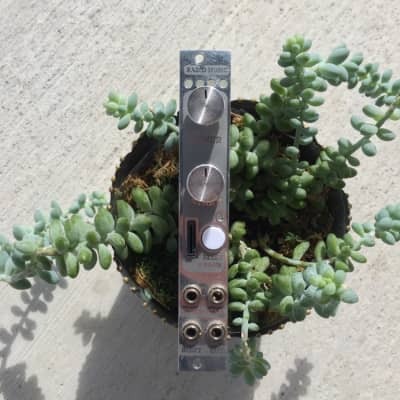 It is designed to be a source of unexpected audio, not a drum loop player or a sample mangler. 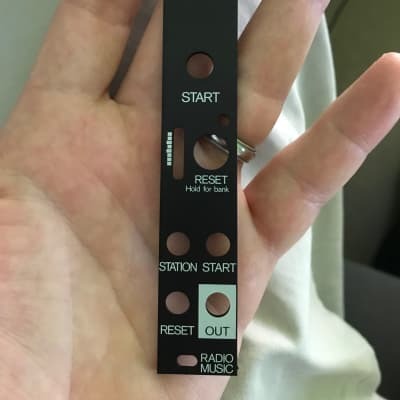 Like a radio, this module works on a series of banks and stations. Each of the 16 banks can contain many different stations. Each station is .raw audio file stored in a bank directory on the SD card. 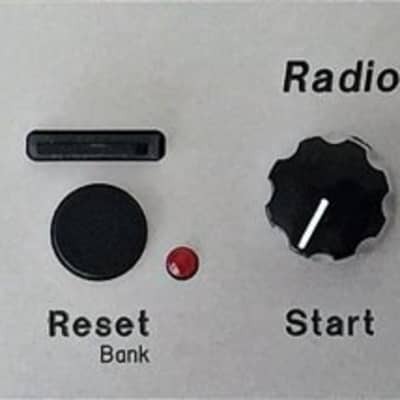 Choose a bank by pressing and holding the RESET switch. Choose a station by turning the STATION knob or plugging a voltage into TUNE.